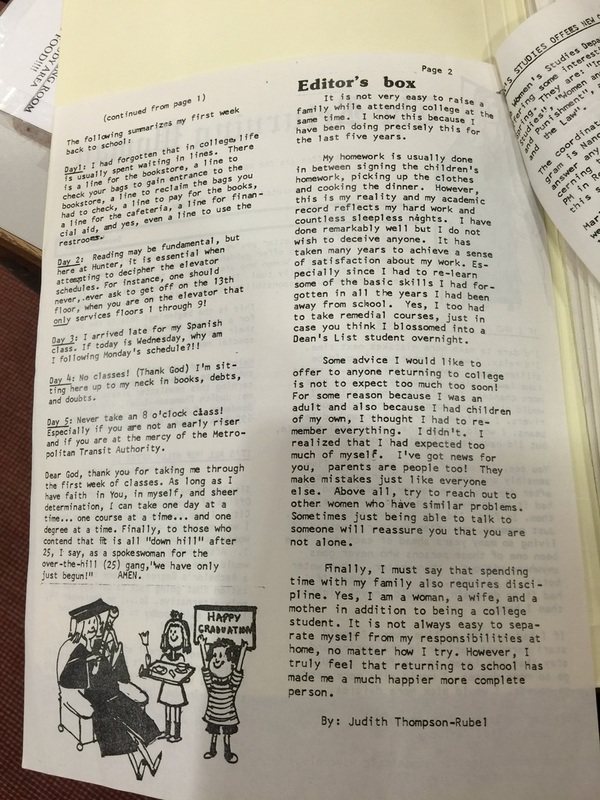 If you are deciding whether or not to return to college after raising a child, being a wife or starting a career but not sure if you're making the right decision, I want you to know that you are not alone. Below you will meet Elyse Orecchio, Janice Johnson (that's me) and Carla Nicolas; three mothers who have decided to return to college and take the plunge, all while raising a family, being a wife or single mother and holding down a job. The sole purpose of this blog is to help you realize that you are not alone, that your fears and frustrations are valid and legit and that these women, along with others who have paved for the way, have experienced what you will experience or have already stumbled across and still managed to stay in the race to accomplish their goals. ﻿Welcome to The Returning Woman blog. 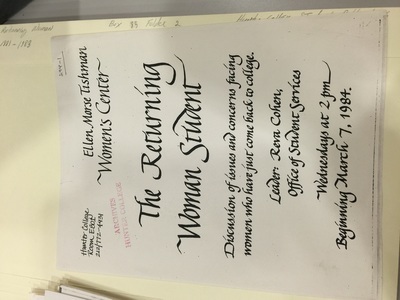 As already mentioned, in this blog you will find archival artifacts from the Hunter College Archives Library along with video interviews of women who have returned to Hunter College to study. My hope is that you will see yourself in these stories. 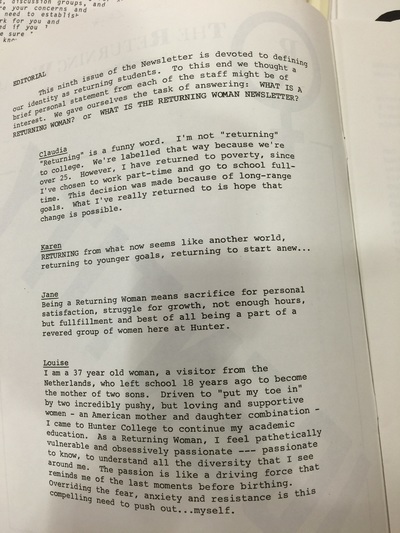 There are so many similarities between the women of the 20th century and the women of the 21st century. 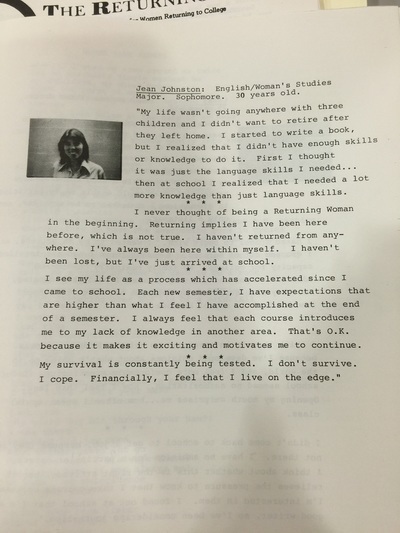 I hope you find your inspiration on my page. 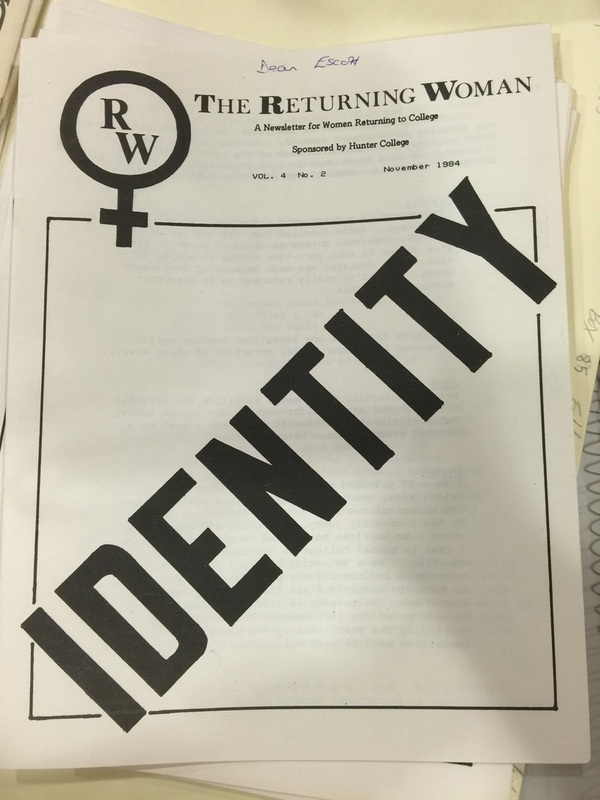 In December, 1981, the Hunter College Women's Center released a newsletter entitled "The Returning Woman". 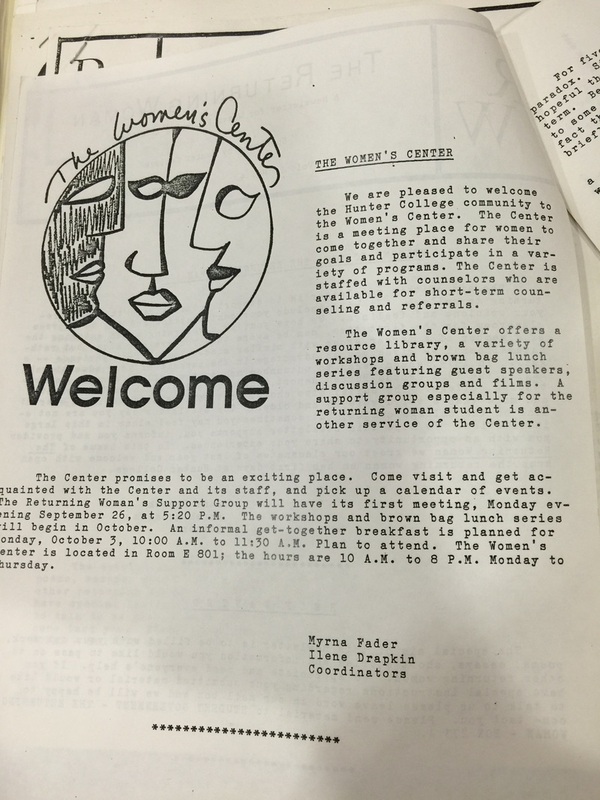 The newsletter was designed to encourage and offer guidelines for women returning to college. 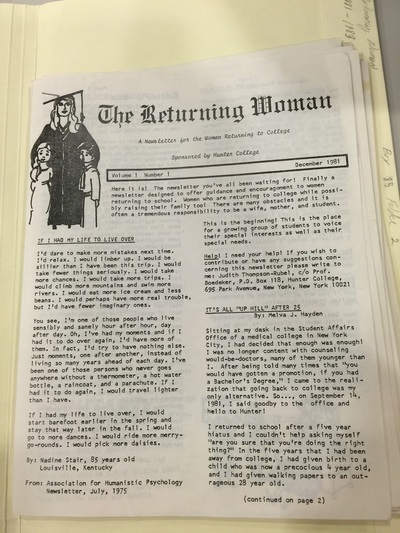 Some of the women featured in the newsletter were women who were returning to college ﻿while taking care of children at home, maintaining a household and possibly working. 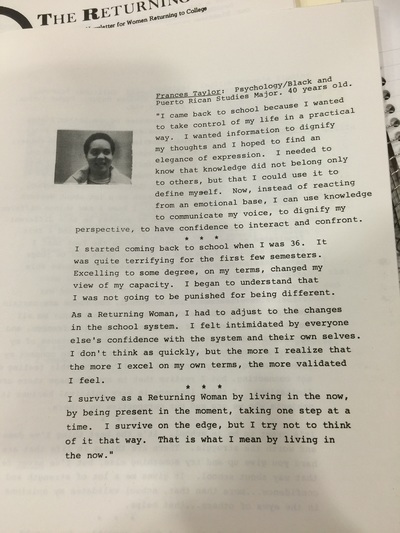 The benefits of the newsletter were that it highlighted obstacles other women faced upon returning to college. Women no longer felt alone and isolated, but they shared a community with each other where they were able to let their hair down and speak openly about their experiences in an effort to help reach other women. ﻿﻿Lets be real, this decision to return to school is never easy to make. There is so much to consider. Being a parent is a big responsibility on its own, but as a mother returning to school, you're expected to nurture, be the primary caretaker, maintain the household, cook .dinner, clean, wash clothes, all while being a student. After all, your first priority is motherhood. You probably don't feel fully supported with your decision, or on the contrary, you do feel supported. Whatever it is, I want you to watch and listen to the women below share the highs and lows of the returning woman. 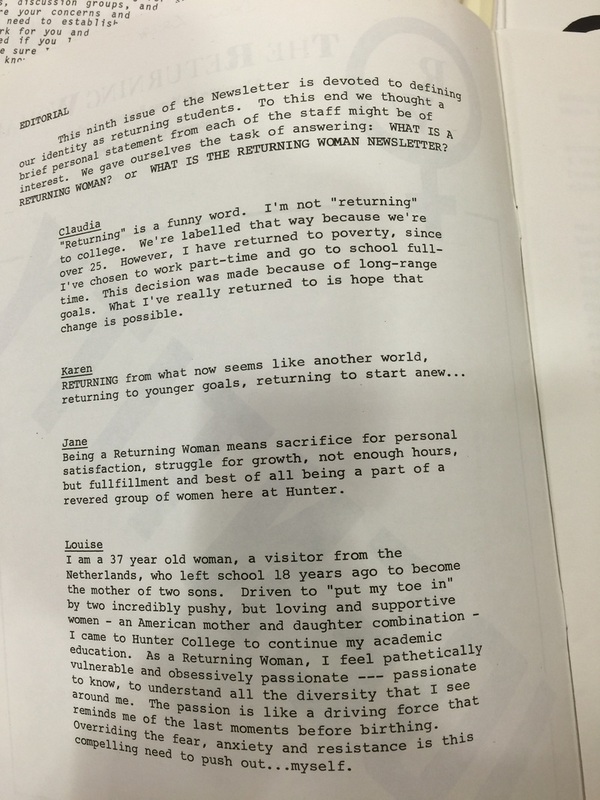 Each have their own spin on what it means to be a returning woman. Hi, I am Elyse Orecchio. I am 32 years old. I have two children, a 12 year old boy and a 7 year old girl and have been married for 13 years. 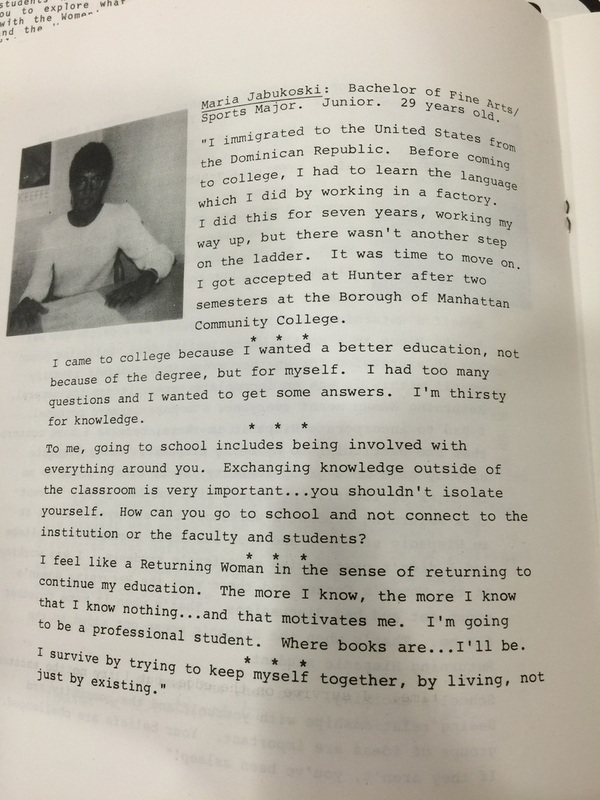 I am part-time student at Hunter, taking two classes per semester. I have been at Hunter for 4 years. for 6 years. I came in with a Bachelor's degree. Hi, my name is Carla Nicolas. I am 24 years old and have a 3 year old daughter. I am a part-time student at Hunter for 6 years. 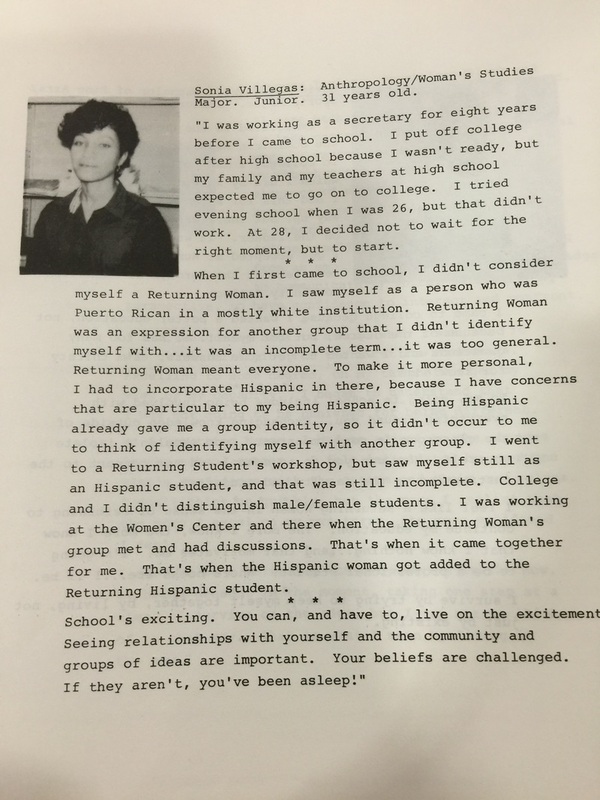 WHAT IS YOUR DEFINITION OF THE RETURNING WOMAN? Did I ever want to quit? Are relationships better at home? Student Advising is only offered on weekdays during the day. Why not extend the hours, keeping into considerations the students who attend classes in the evening or on weekends. Not having a community to go to who support the returning woman. Not feeling fully acclimated as a returning student. A cheat sheet for the first semester with "things to know and people to see" would be helpful. 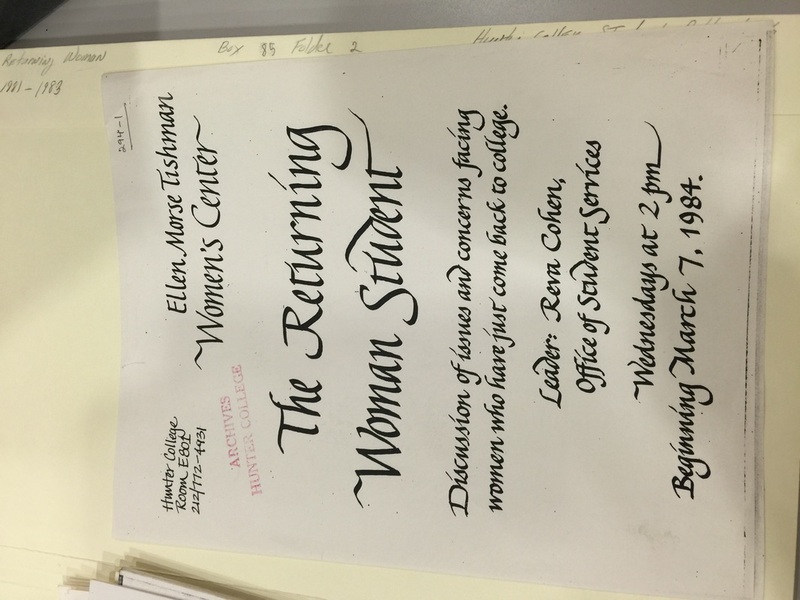 A women's center or returning women's center would be nice.